The European Parliament voted to take a hands-off approach to regulating blockchain technology, which left the Commission with the problem of how to regulate the distributed ledger technology behind virtual currencies such as Bitcoin and other secure applications which have now attracted venture capital investment exceeding €1billion. Best known as the backbone technology behind Bitcoin, blockchain is one of the hottest and most intriguing technologies with the potential to make processes more democratic, secure, transparent, and efficient. Entrepreneurs, established hi-tech companies, and global investors have all realised that blockchain technology has the potential to truly disrupt numerous industries and businesses. Objective: To highlight our clients’ expertise in this specialist area given both the US and Israel’s capability in the hi-tech sector. Strategy: We analysed blockchain technology – the ecosystem, the benefits and challenges and the blockchain start-up landscape and the impact on financial services. Result: We obtained several article commissions in the clients’ target press, providing an overview of the blockchain technology and the impact it is likely to have on retail and wholesale financial markets. 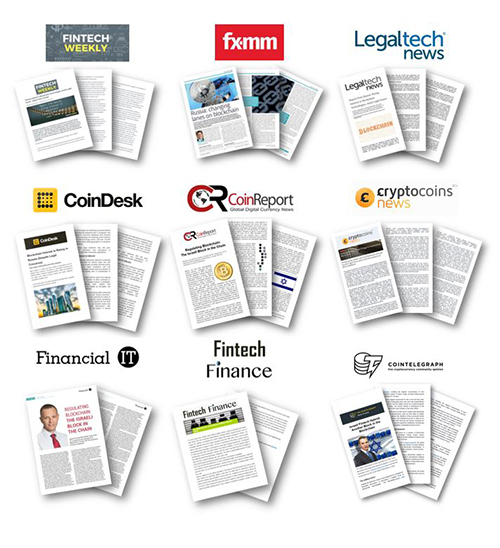 Coverage appeared in key titles including The CoinTelegraph, Fintech Finance, Financial IT, FX-MM, FTSE Global Markets and Financier Worldwide and was translated into French, German and Chinese for publication in European and Chinese titles.